Last Thursday the Federal Court ruled that Australian internet providers must block websites with copyright infringing material. The ruling (which will block The Pirate Bay, Torrentz, IsoHunt, TorrentHound and SolarMovie) allows internet providers 15 days to enact blocking measures against these piracy websites. As we all learned from overly severe ’90s PSAs, illegal downloading (aka piracy) is bad. And it totally is. Artists – whether actors, musicians or writers – deserve credit and reimbursement for their work. But in a country where our media content is routinely delayed, restricted or exorbitantly priced, content providers are arguably just deserving of condemnation as the pirates they essentially created. 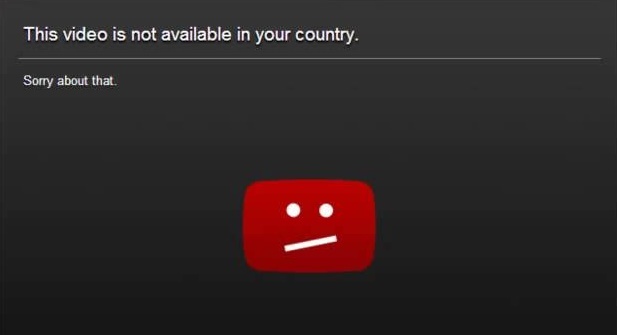 Australia is a notorious nation of digital pirates. In April this year we were one of the largest per capita downloaders of the Game of Thrones season 6 premiere, accounting for 12.5% of all BitTorrent traffic in the first 12 hours. That might not seem like a lot of downloads, but remember how small Australia’s population is compared to, well, pretty much anywhere. Around 1 in 5 Aussies have downloaded pirated content at some point, and not just because there’s a five-finger discount. One of the biggest myths about piracy is that it’s a matter of cost, when in reality one of the main reasons people resort to digital piracy is due to a lack of access. Pay for a Foxtel subscription. But not just the basic subscription – GoT is only available on the premium movie and drama subscription. That means $20 for your first month, and $46 for every month after that. Given a GoT season is 10 episodes long, you’re going to pay a least $112 a season, or $11.20 an episode. In their defence, Foxtel did offer a GoT discount at the start of last season, but it still meant you’re essentially forced into paying for a whole bunch of content when you only want one show. Wait until the whole season is released and comes out on DVD/legal download. By which time I assure you the whole season will be spoiled and your life over. We’re in a situation where content providers can loudly denounce pirates, and completely ignore the role they play in creating digital piracy. Let’s look at the music industry now. The most popular (legal) place to download music is iTunes. That’s the same iTunes that has admitted to charging its Australian customers on average 52 per cent more than for the same content downloaded in the US. Microsoft and Adobe have also conceded to hiking up their prices for Australian consumers. It probably won’t surprise you then to learn that Adobe Photoshop is the most pirate software on the web. By trying to gouge as much as they can from consumers, and restrict content through ironclad, geo-locked copyright agreements, content providers have essentially created their own problem. Digital pirates saw a need, and they fulfilled that need. Content providers on the other hand just bitched and whined until the government stepped in, when they could have been providing viable incentives not to pirate. Again, I’m not claiming pirating is good. People should be paid for their work. But stopping piracy is not just a simple case of blocking torrent websites. The monopoly of power that the big media providers possess means they can essentially charge whatever they like for content, and choose when and where to release it. Outwardly pirates are condemned as thieves, but legal media providers are (in some cases) just as accountable for theft. So long as content remains restricted and unfairly priced, piracy will continue to flourish.